Today, Sony Entertainment and Atlus announced that the online servers for Demon’s Souls will shut down next year on February 28th. The game, which mixed online and single-player elements, will transform into something completely different. This asks the question: how do we preserve experiences tied to online features? FromSoftware initially entered into the fantasy RPG genre with 1994’s King’s Field, a clumsy game of dungeon crawling that suffered from clumsy gameplay and a first person perspective that made the world feel small. 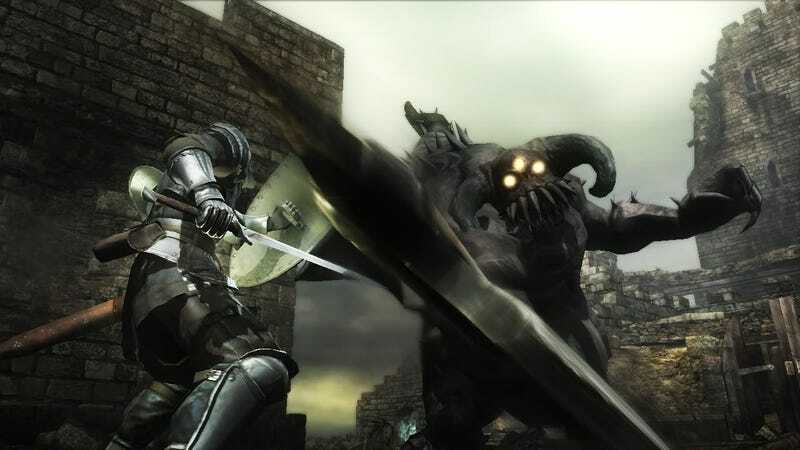 2009’s Demon’s Souls refined the concept of monster slaying adventures and established many of the features that would go into the Dark Souls series. These features included the ability to place messages to other players within the game world, invade their games for player versus player combat, and witnessing other players’ demises by examining bloodstains found throughout the world. Previously, Atlus stated a commitment to maintaining the servers as long as possible, but these features, essential to the game’s atmosphere, will cease to be next year. Demon’s Souls tells the story of the Kingdom of Boletaria, a land fallen to monsters. The game’s online features gave the world a ghostly quality, packing it with player spirits and invaders. Boletaria set the standard for Souls games, creating a dark world that players could share through messages and cooperative play against bosses. Fading in and out of worlds or having players join your adventure created a unique, dreamy sense of shifting worlds. Players could even make the game harder or easier by changing the “world tendency” between a safe, “white” world and a dangerous “black” world. This value changed based on an aggregation of statistics from online players. Without servers, players will be limited to shifting their own world tendency offline. The most impressive piece of online functionality came in the form of a boss fight. When online, the Old Monk encounter in the dangerous Tower of Latria casts one player as the boss and has them fight against an adventurer on their own journey. It’s an inspired encounter, taking full advantage of the game’s online features to provide players with a challenging test of skill as well as a shocking surprise. Realizing that the Old Monk is actually another player is an astounding moment of discovery. It’s such a good twist that when Dark Souls 3’s The Ringed City DLC expanded on the concept, it made for one of the series’ best boss encounters. Demon’s Souls’ revelatory moment will now fade away as players face off against a generic NPC instead of testing their mettle against other players. All of the changes beg the necessary question of what it means to truly experience a game. Players exploring Demon’s Souls after the server shutdown will wander through a far more limited and lonely version of the game. Are they getting the core Demon’s Souls experience, or are their adventures an empty echo of what was? In an age where the industry struggles to preserve old games and players must revive old experiences through fan servers, shutting off Demon’s Souls’ servers will render key parts of a formative and important game experience unplayable. The Souls series focuses on decayed and abandoned worlds. With this server shutdown, Demon’s Souls becomes the first of FromSoftware’s games to suffer a similar fate.